The music of Sigur Rós can sound so monolithic, sometimes it’s hard to imagine that four mere mortals are behind it. 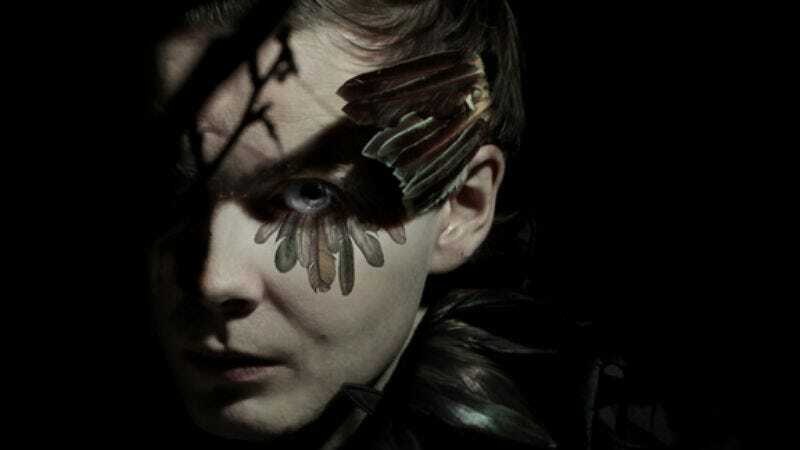 But even at its most overwhelming, the group’s work has one fragile, singular element threading through it: the vocals of singer-guitarist Jónsi Birgisson. After a string of gorgeous, atmospheric, and at times abstract full-lengths with Sigur Rós, Birgisson has released his debut solo album, Go, under the name Jónsi. In a sense, it’s the record followers would expect him to make: Quiet, delicate, and infused with textures both bucolic and electronic, it’s as evocative of Birgisson’s Iceland home as his band’s music, though Go is more on the scale of snowflakes than glaciers. Along for the recording is Birgisson’s boyfriend Alex Somers (who collaborated with him on Go’s test-run of sorts, last year’s ambient Riceboy Sleeps album) as well as arranger Nico Muhly and percussionist Samuli Kosminen—all of whom bring a nimble, even playful feel to Birgisson’s bright songs and otherworldly voice. Gearing up for Go’s support tour—his first without Sigur Rós—Birgisson spoke with The A.V. Club about newfound pressures, happy accidents, and how not having babies has fueled his creativity. The A.V. Club: You’ve been working on the songs for Go for a long time. When did you know it was the right time to turn them into an album? Jónsi Birgisson: Like you say, I did have these songs for a long time, for many years. I wanted to make them a reality, make the most of them. It was the perfect time last year to do that, because all the guys [in Sigur Rós] were off having babies. Everyone except me was having a baby. So I finally could concentrate on just making this album. AVC: Sigur Rós has been really busy over the past few years, too. Did you ever feel like that was keeping you from expressing yourself in this solo project? JB: Yeah, we have been really busy. We’ve been touring, recording, playing lots of shows. We were always working. I never had the time or focus to concentrate on these songs. AVC: When you were writing the songs for Go, what set them apart? How did you know they weren’t Sigur Rós songs? JB: They just sounded different, but it also had to do with the way we make music. As a band, Sigur Rós is a democracy. We all write songs and make decisions together. The four of us make songs from scratch. AVC: So the band doesn’t write any portion of its music beforehand? JB: No, nobody brings a song to the band. We all bring a little bit and make it up together. So yeah, through the years I have all these songs for myself, and it was time to record them for the solo project. AVC: You and Alex Somers released Riceboy Sleeps last year. Did that prepare you both in any way for Go? JB: Actually, it did, I guess. It made me learn how to make my own stuff, I think. I was kind of working on [Go] at the same time, also. We had that break with Sigur Rós, so I worked on these other things. It was perfect timing for us. Also, it was perfect because no one expected me to do something for myself. There was no pressure or anything. AVC: The solo album was unexpected, especially since Sigur Rós seems like it has such solidarity. Do you feel any pressure now that the album is out there and you’re on your own, at least for the time being? JB: Yeah, a little bit. It’s so nice to be in a band, to have someone behind you. It’s good to have someone to bounce ideas off of. If you get tired, somebody else takes over. AVC: Is it intimidating not to have the rest of Sigur Rós around? JB: It’s a little bit scary, I guess. You have to pretend to know everything, all of what you’re doing. But also, it’s liberating and fun and exciting. It’s a learning thing. I think the most learning for me came from working with different people. We’ve been a band for 16 years, Sigur Rós, and sometimes it’s really healthy for me to work with different people. AVC: How important was Nico Muhly to the whole process of making Go? JB: Very important. Nico is funny, how he works. He’s really spontaneous and quick in the studio, like me, actually. He likes to see things built quickly. I like to see that. He’s very creative. Initially I showed him the songs, and he took them from there. We wanted the string arrangements and the brass arrangements to be a little more colorful than what Sigur Rós sounds like. I think it came off perfect, the perfect match. I like it when he does, like, classical scores, but it’s so easy and lively and spontaneous. AVC: What was your first meeting like? JB: We met one night in my apartment, and I had a little setup there. I played him my acoustic demos, and he asked me what I wanted. I would say, “I want to do this,” and he would say, “No, no, no, let’s do this.” It was very back-and-forth, working with him. We built the arrangements that way. I think it was very refreshing to work that way. But he didn’t take it too seriously. AVC: How do you plan on recreating the album onstage? JB: I’m not sure, actually. The tour is a last-minute kind of thing. We just found the last musician for the band. It’s the typical thing, the last-minute Icelandic way. Everything is a little bit on the edge. Which is good, I guess. So yeah, we just found the band, and we rehearsed for 10 days. It’s a little rushed, but we found really good players, so it was fun. I’m super-excited about that. AVC: A lot is being said about the contrast between Sigur Rós and your solo project, that one is darker and the other lighter. Do you see it in those terms? JB: Maybe, in some ways. It’s really hard for me to say. We really have a good time in Sigur Rós, even if people think we sound serious. It’s just four guys having fun, you know? But some of those songs are dark in some ways. [Go] definitely sounds different. AVC: “Animal Arithmetic” and “Grow Till Tall” sound particularly bright and upbeat. Does that reflect where you are right now? JB: Yeah, I guess so. “Animal Arithmetic” is the youngest song on the album, and it was written in a day in the studio on an acoustic guitar. It sounded very basic, but the arrangement for the album has a lot more on it, like Nico’s piano. Samuli came in and added drums, and a lot of it was by accident. I really like accidents, when something happens in the studio you don’t expect to happen. I’m a big fan of that. I like when I don’t know where things are going. It’s a great way to work.